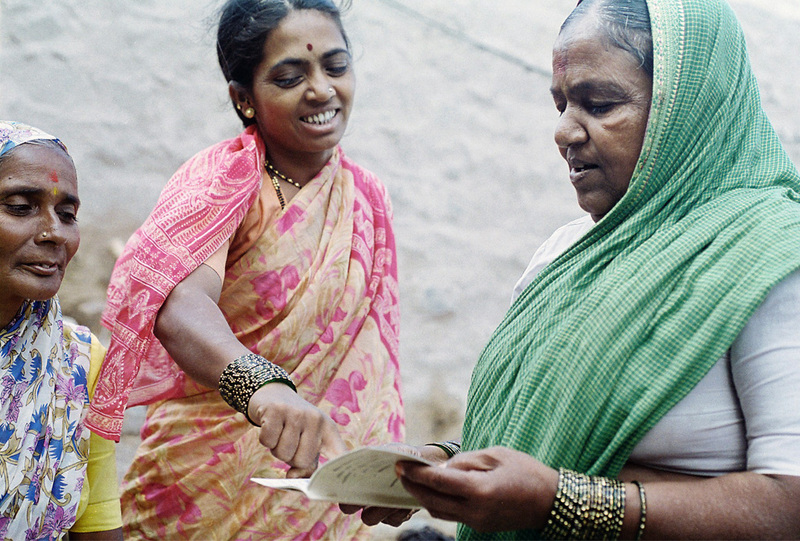 Sama is a part of the global women’s movement on health that works towards building a movement for reiterating the holistic concept of health, to strengthen the claim for health care and health as justifiable right for all people. 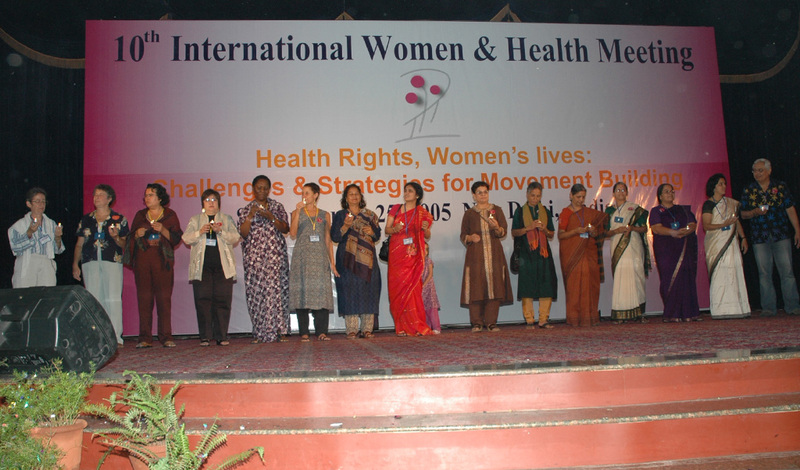 The International Women and Health Meeting (IWHM) has its roots in the global women’s movement, which marks nearly two and a half decades of the global feminist solidarity on issues that impinge on health and well-being of women. 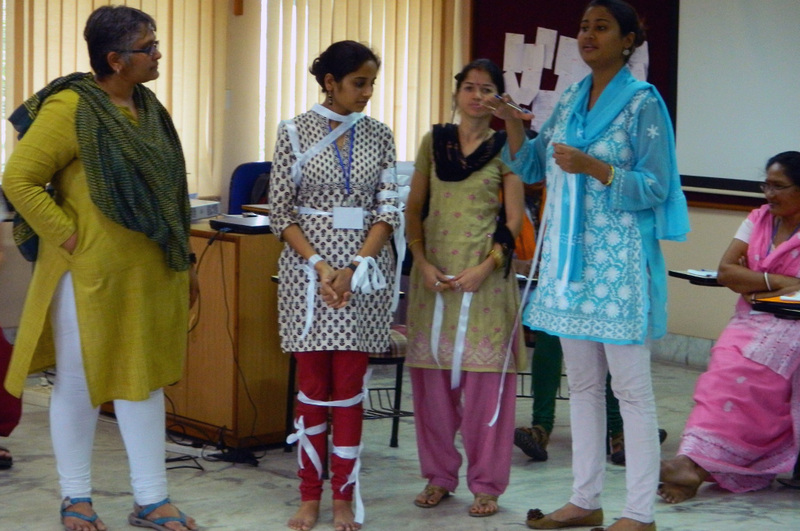 It includes wide range of organizations, networks and grass-roots women’s groups. Over the years IWHM have been calling for resistance against politics and policies that are detrimental to women’s health. 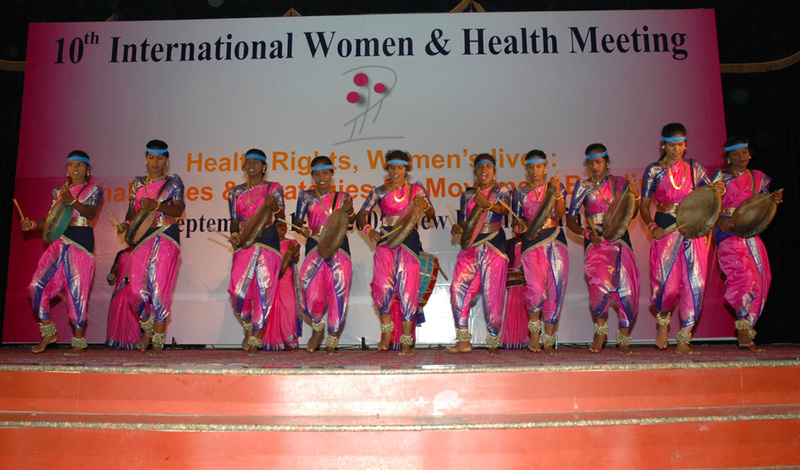 As per the title of the theme the 10th IWHM held in India was significant in the journey towards identifying and rallying against various national and international forces that have adverse impact women’s health. It sought to move away from the Eurocentric focus to a more global perspective towards building a movement for reiterating the holistic concept of health, to strengthen the claim for health care and health as justifiable right for all people. The 10th IWHM was also meant to provide a forum to discuss the many ways in which women’s well being is affected, the way women’s movement were resisting and negotiating with structures and institutions to build a humane world. 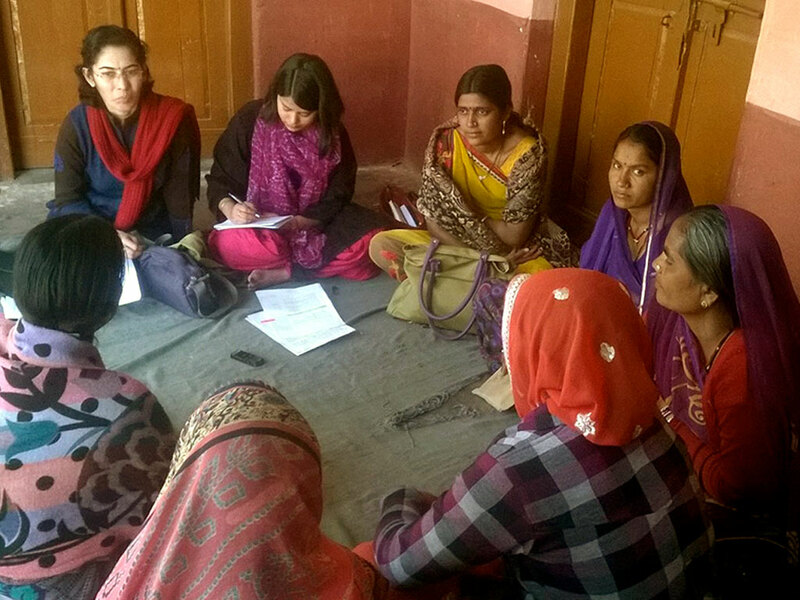 Sama has been active in the International Women and Health Movement and has contributed significantly in ensuring that the 10th International Women and Health Meeting is organized in India. Towards this end, Sama was involved in coordinating 6 Zonal Meetings- Eastern, Western, Northern, Far North, Southern, North Eastern – in the run up to the IWHM. These zonals were attended by about 400 participants – 326 women and 74 men from NGOs, women’s groups and members of broader networks and campaigns – reflected the issues and concerns of the particular region/ zone, which was subsequently published to facilitate follow-up. Seventy representatives from these zones participated in the 10th IWHM. 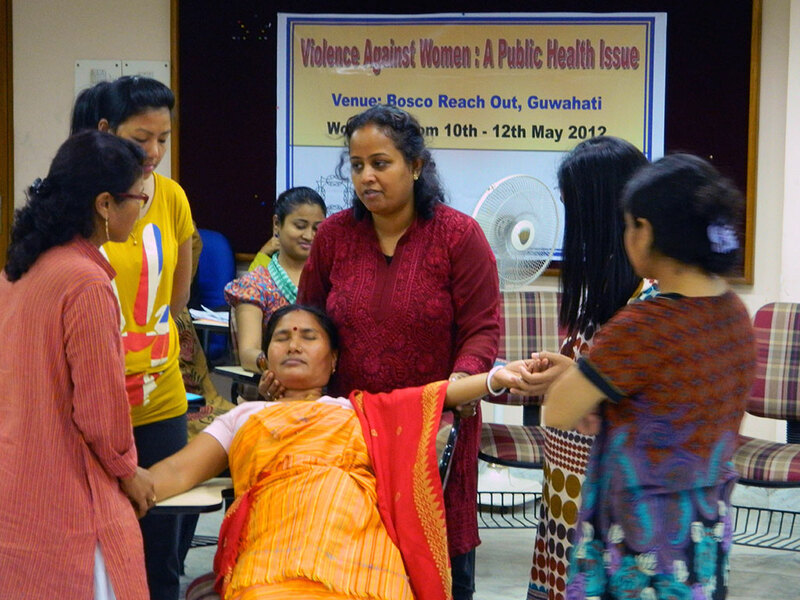 A total 400 academicians and activists from various voluntary organizations and networks participated in the six zonal consultations preceding the IWHM. These consultations took place between December 2004 and April 2005. To identify good, well-researched papers along with other cultural expressions like street plays, folk songs, stories and case studies to be presented at the IWHM. Sama’s work and achievements over the years on Women and Health issues has gained recognition and been acknowledged both nationally and internationally. 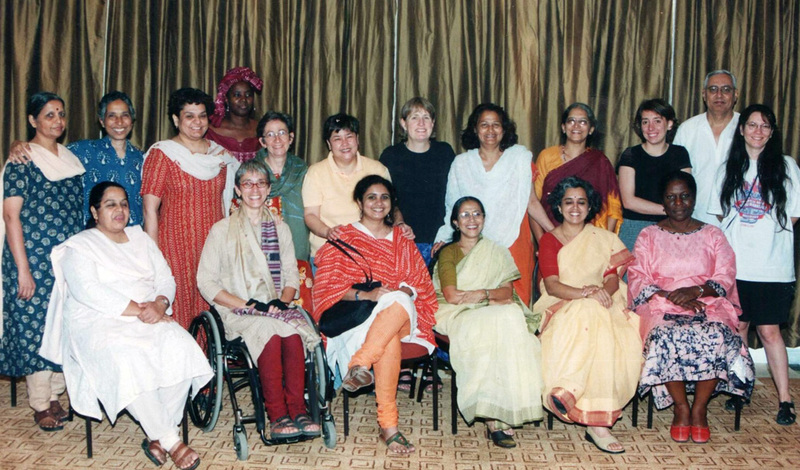 This alongwith Sama’s capacities to network, organise and coordinate were instrumental in its getting the opportunity to host the Secretariat for the 10th International Women and Health Meeting during 21st – 25th September 2005 at New Delhi. 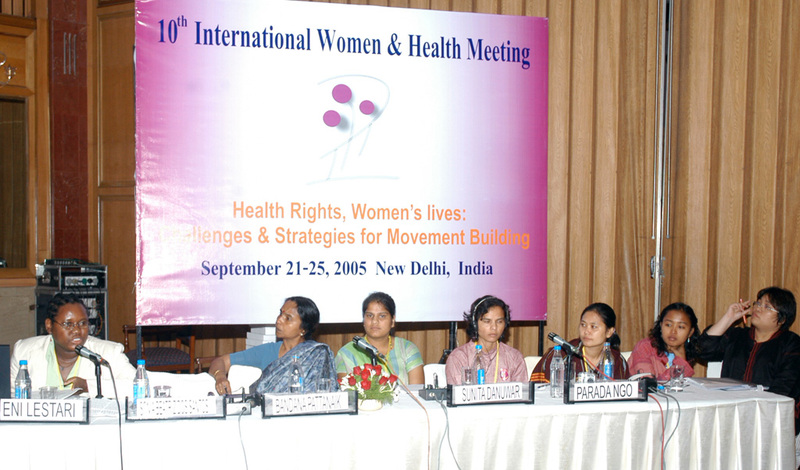 The 10th IWHM was held at New Delhi in September 2005. It brought together about 850 participants from nearly 70 countries. The 10th IWHM was a significant milestone in the journey towards identifying and rallying against various national and international forces that had adverse impact on women’s health. 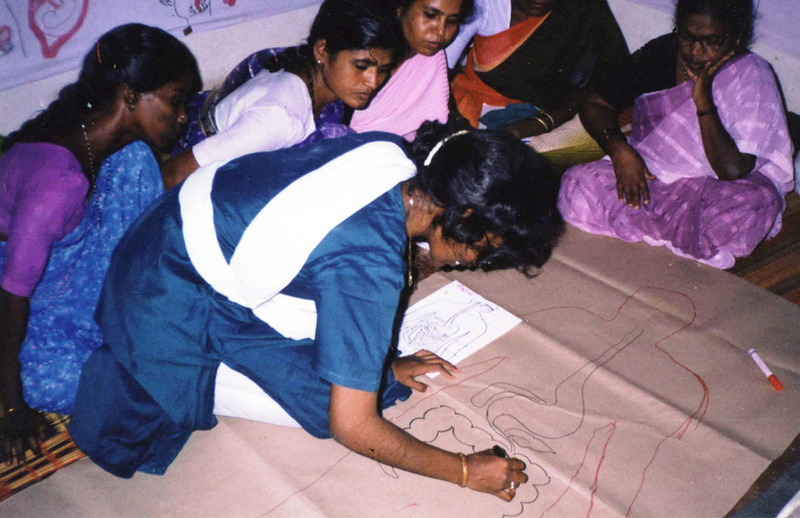 The focal themes of the IWHM foregrounded women’s health within the overarching context of global restructuring, environmental concerns, population policies and the effects of militarization. These issues also reflected Sama’s initiative against the politics of population policies, medical technologies and provided an opportunity to share and discuss our experiecnes on these issues. The Meeting, whose theme was ‘Health Rights, Women’s Lives: Challenges and Strategies for Movement Building’ included presentations, discussions, and debates around the five focal themes [Public Health, Health Sector Reforms and Gender; Reproductive and Sexual Health Rights; The Politics and Resurgence of Population Policies; Women’s Rights and Medical Technologies; Violence of State, Militarism, Family and Development and Women’s Health], through 8 plenaries, 48 parallel Sessions, 23 workshops, 6 Special Interest Groups/Caucuses, a film festival, and Exhibitions/Interactive Expressions. About 850 participants from nearly 70 countries- from Africa, East and West Europe, South and South East Asia, North, Central and South America, Australia and New Zealand attended the 10th IWHM. Kyrgystan, Afghanistan, Tunisia, Israel, Romania, Bulgaria, Fiji Island, etc., were also represented at the meeting. A draft declaration reflecting issues and concerns around women and health that needed to be addressed, challenged, was the outcome of the Meeting.